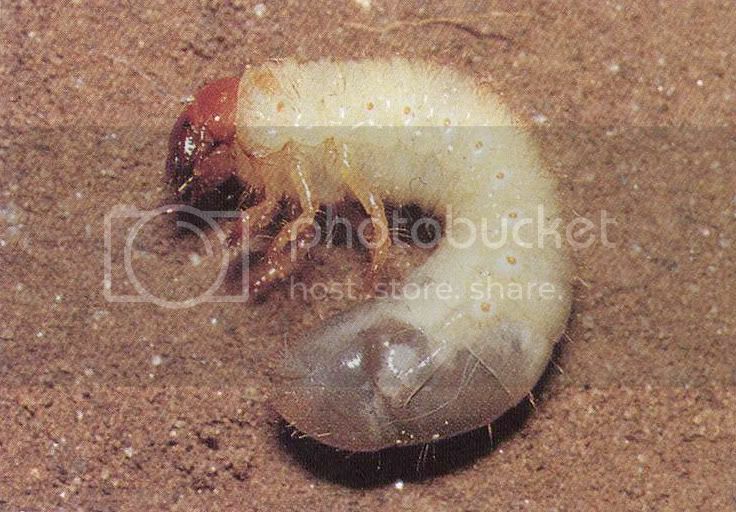 Just curious to if anyone has had any dealing with grub worms which aparently are larva from june bugs. i recently had a couple palms stuggle and was curious if this could be my problem. Is there something that will kill them without hurting my plants. From what i read they do eat roots which would explain why a couple palms went sour. any advice would be greatly appreciated. There are lawn products such as Grubex for killing grubs. Do a web search on "grubs lawn". 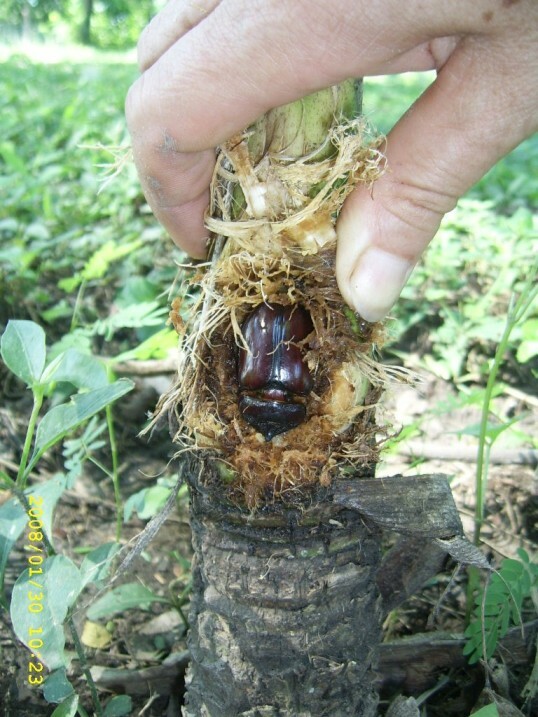 Don't know if grubs eat palm roots, but the manufacturer's specs would probably tell you if their product hurts certain types plants. I doubt these products would hurt any plant since plants are often planted in the middle of lawns or on the edge of lawns. These products are effective, but are only really efffective if applied at the right time of year. These are common if you mulch heavily. I've never had a problem with them hurting any plants as far as I know. I've got those here too. I haven't had any problem with those bugs. I have most of my garden profusely mulched and is easy to found both larvae, and adult form. 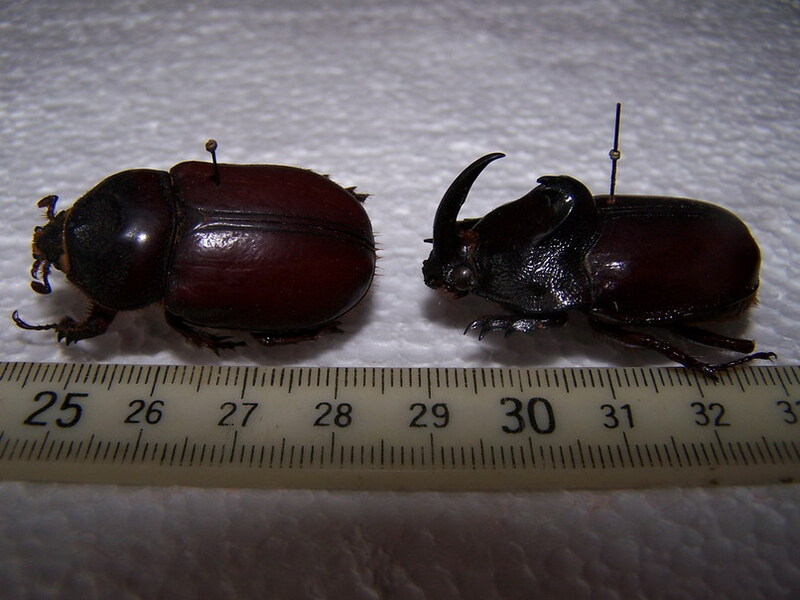 There are larvae form of a rhino beetle. In my country there are only Oryctes nasicornis, and as far I know there are not bad boys. There is another beetle very close to Oryctes nasicornis, it is called Oryctes rhinocerus and it is very dangerous to young palms. I really don't know where can be found those, but not in my country, this is for sure. Just dig thru your mulch or compost areas and collect them. Heard that they were a high protein food (eaten by certain cultures), delicious when fried to a golden brown. There will always be a few that will turn into those big beautiful green June Bugs which are fun to tie a long thin string to and fly them around the yard. Didn't you ever do that as kids?